Time to try personalised classes? With so much yoga around, are you getting the instructions you need when it comes to authentic asana practice? Iyengar Yoga is classical yoga taught with an emphasis on alignment. It is as dynamic and challenging as it is gentle and restorative. Learning yoga takes time, practice and commitment. Then it’s true essence can become integrated into your life. Yoga teaches ways to sustain our physical, mental and overall wellbeing. Yoga, although it is ultimately a spiritual practice, starts quite practically with the physical body and learning the yoga postures or “asanas”. This basically involves learning about stretching, strength training, balance and co-ordination, the organic body and breathing all via asana practice and their benefits. Learning yoga takes time, practice and commitment. Then it’s true essence can become integrated into your life. Iyengar Yoga is essentially a method of hatha yoga which has an emphasis on the alignment of the skeletal body. 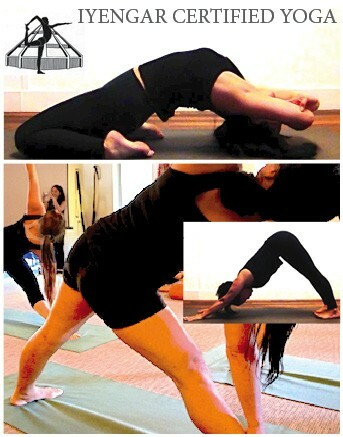 It is the method of yoga most commonly recommended by osteopaths, physiotherapists, chiropractors and psychotherapists. Private tuition provides the opportunity to receive more specific instructions that are relevant to your needs which is not always possible or available in a yoga class situation. Suzi Chin Silicz is the principal teacher at NG Yoga. She is an experienced Ji Level Certified Iyengar Yoga Teacher and has taught extensively around Sydney. Suzi brings 35 years of yoga practice and 25 years of teaching to inform her classes. Suzi also teaches retreats & regular classes, courses & workshops in Sydney at The Yoga Centre East Redfern, – An Iyengar Institute and corporate classes at The Victor Chang Medical Research Institute. Suzi has studied yoga for many years with Caroline Coggins, the Iyengars in India & Australia and Stephanie Quirk.